Noor or T 39 is one of Ranthambhore well known tigress. In her second litter she got two male cubs and we were the first to see them. 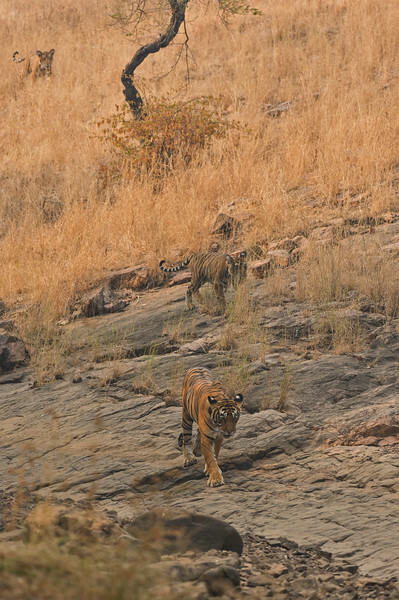 Wild Indian Tiger mother with her two young cubs, walking towards the camera on rocky terrain in a dry forest.